7th. 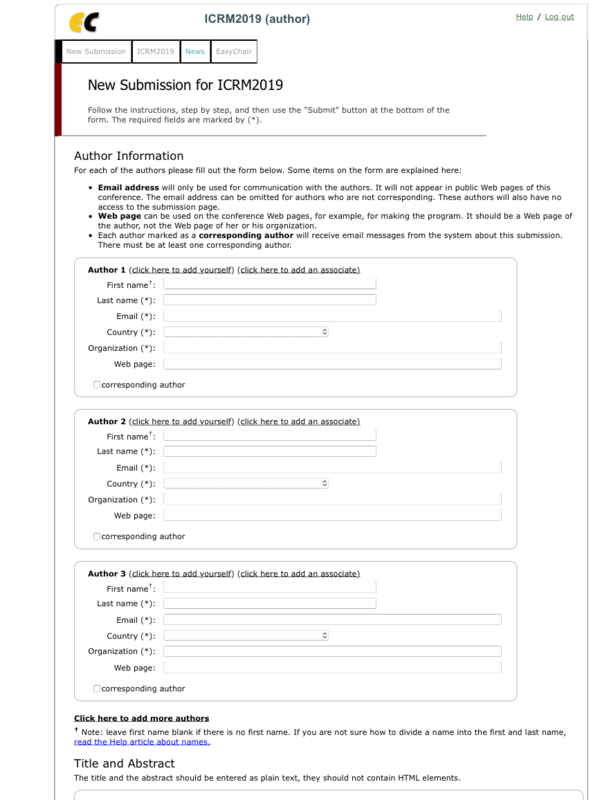 Pick on enter as an author. 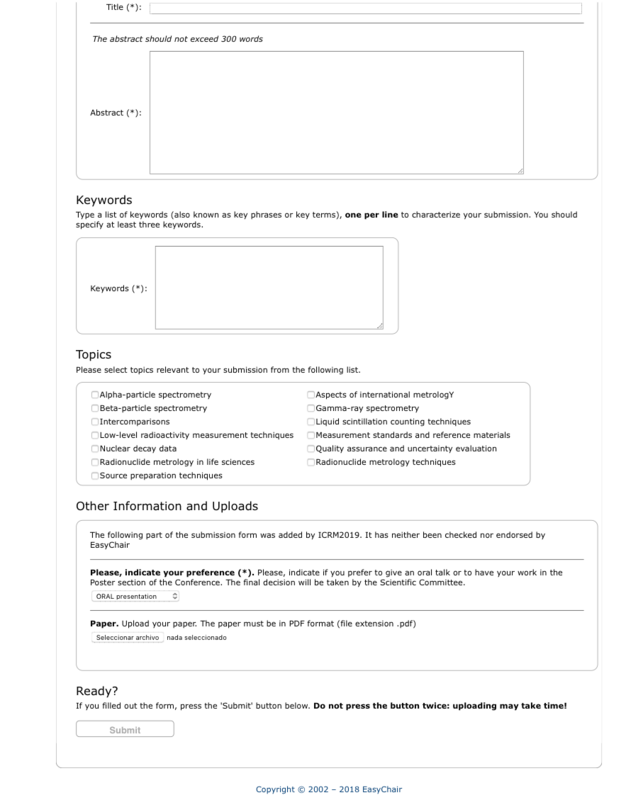 A window will be open where you have to introduce data of all the authors, including e-mail address and affiliation, title and abstract of the contribution as plain text, keywords and the conference topic that you think better fit to the contribution you are sending. 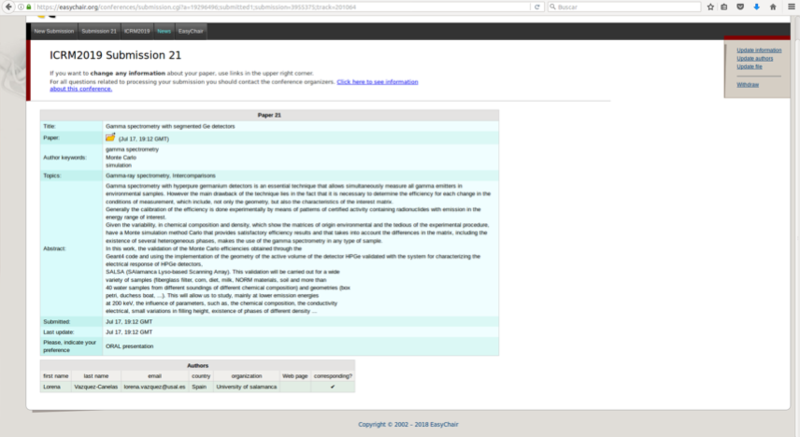 You may also choose the type of contribution: oral or poster. 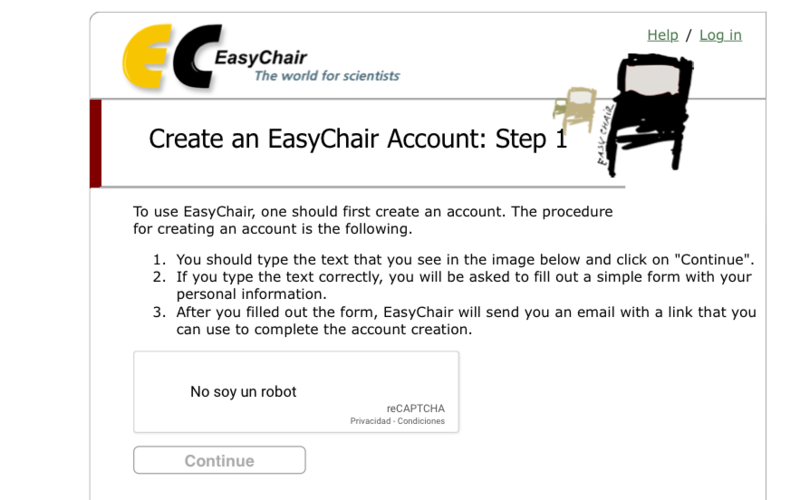 Finally, you are required to upload the contribution in WORD format (yes!, in WORD format, even although the EasyChair application says that papers must be load in pdf format) using the template provided in the SUBMISSION button, found in the web page of the conference. 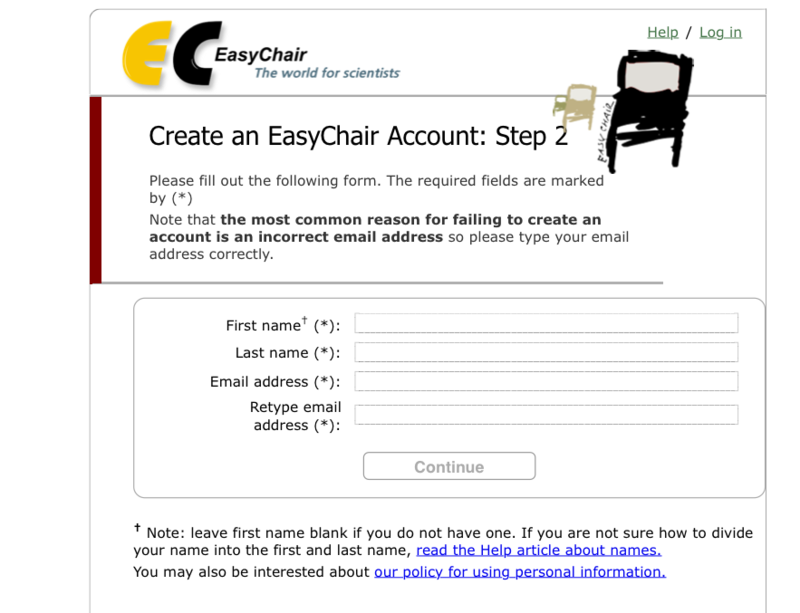 Please, title and abstract in the template uploaded have to coincide with the ones written directly on the EasyChair form. 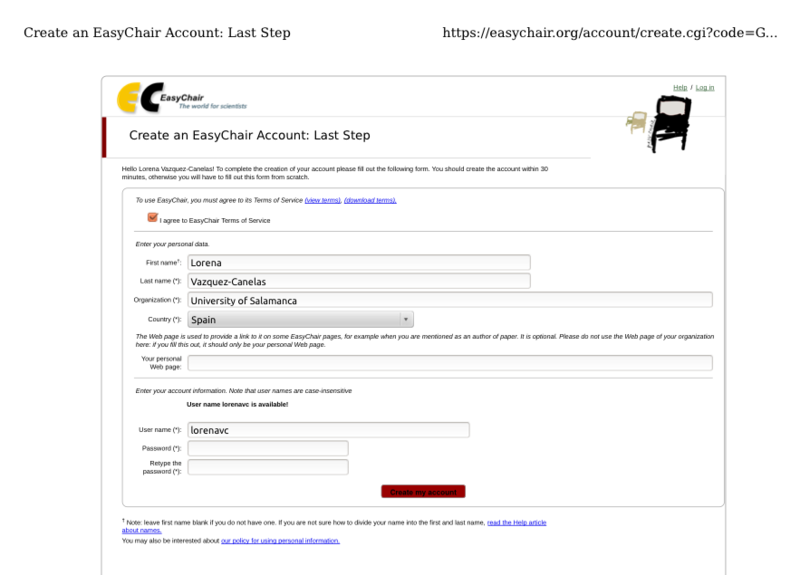 When you filled out fully the form, press the submit button to end the submission. 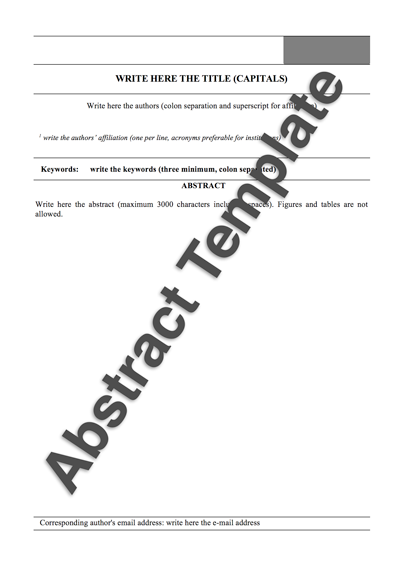 The paper was submitted by Lorena Vazquez-Canelas lorena.vazquez@usal.es. 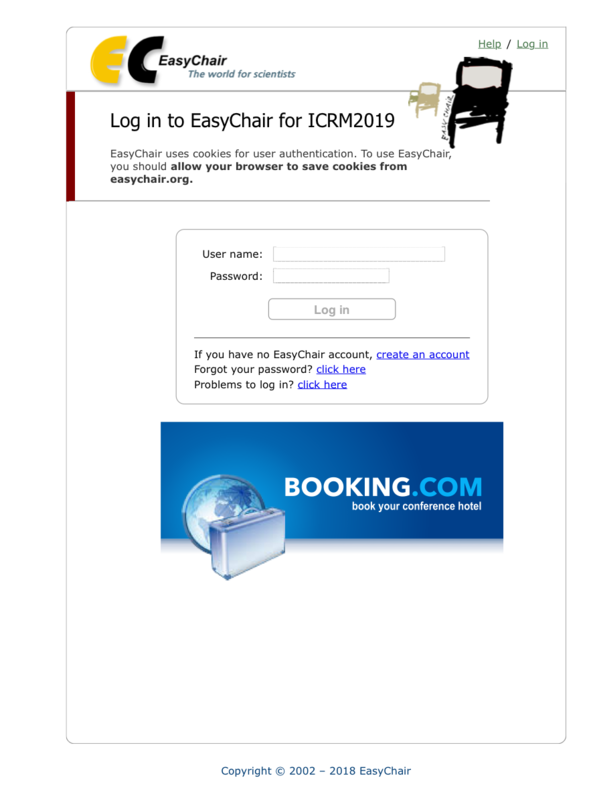 Thank you for submitting to ICRM2019.